Atene (AFP). La Grecia vuole diventare un ariete per l’esportazione cinese nell’Unione Europea, ha dichiarato il PM Costas Karamanlis oggi. Un accordo bilaterale per lo sviluppo del porto del Pireo come transito delle merci cinesi è stato firmato tra i due paesi. L’accordo prevede una concessione di 35 anni al gruppo cinese Cosco. L’accordo fra Cosco e OLP (Piraeus Port Authority) svilupperà le infrastrutture portuali e darà un importante porto d’entrata nell’UE e nel mediterraneo orientale alle merci cinesi. 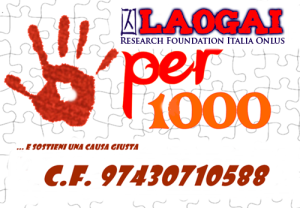 L’accordo è stato opposto dai lavoratori portuali che hanno organizzato numerosi scioperi. Segue l’articolo in inglese di Yahoo News/AFP. ATHENS (AFP) – – Greece wants to become a battering ram for Chinese exports to the European Union, Greek Prime Minister Costas Karamanlis said Tuesday after joining Chinese President Hu Jintao in overseeing the signature of a bilateral deal to develop the key Mediterranean port of Piraeus. Under a 35-year concession to giant Chinese shipping group Cosco, Greece’s main port will drastically boost its holding capacity — and China gains a vital entry point into the continent for its booming export industry. “Greek ports can operate as transit centres for Chinese products to European Union states but also the broader area of southeastern Europe and the eastern Mediterranean,” Karamanlis said after the landmark deal was signed between Cosco and the Piraeus Port Authority (OLP). “We intend to deepen our shipping cooperation, and examine the creation of a system for shipping cooperation … using (Greek) ports and the (Piraeus) transit centre … to open up third-party markets for common gain,” said Hu, who is on a three-day official visit to Greece. The Chinese president said his country was “satisfied” at the culmination of a “strategic partnership” broached in 2006 when Karamanlis visited Beijing. According to figures released by the Greek merchant marine ministry, the 35-year concession to Cosco will net Greece a guaranteed premium of 3.4 billion euros (4.3 billion dollars) in current prices. The deal will also boost Piraeus’ capacity by 250 percent, generate around 1.5 billion euros in related business per year, create over 800 jobs and earn the Greek state around 2.3 billion euros in dividends and taxes. “Piraeus is now established as a gateway of trade between East and West,” merchant marine minister Anastassis Papaligouras said. The deal is strongly opposed by the Greek dockers’ union, which has organised several strikes against the loss of state control in Piraeus in past months and staged a demonstration outside the Greek parliament on Tuesday. “Cosco Go Home” read a banner held by the demonstrators, who fear the new operators will bring large-scale lay-offs. 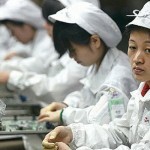 They also argue that the influx of cheap Chinese goods will undermine the already shaky Greek family-owned store sector. Riot police prevented the dockers from approaching the Greek Prime Minister’s offices where Karamanlis and Hu held bilateral talks before the signature ceremony. Greece has spent years wooing China’s massive trade industry, touting its position as a strategic partner with easy access to Balkan and European Union markets. The Cosco deal is also a personal boon for Karamanlis whose administration has been hurt by unpopular reforms and currently trails in the polls. Hong Kong-based global transport operator Hutchison Whampoa is also engaged in talks for the concession at the container terminal of Salonika, Greece’s main northern port and a major gateway into the Balkans. Greek telecommunications firm Ote also signed a deal on Tuesday with Chinese counterpart Huawei while public television networks Ert of Greece and CCTV of China were to seal additional agreements. Hu earlier Tuesday visited the iconic Acropolis temple, and met with the secretary general of Greece’s Communist Party, Aleka Papariga, who is among the opponents of the Cosco deal. “The Chinese Communist Party is aware of this: here in Greece, we oppose the privatisation of ports, mountains, beaches etc,” Papariga told reporters. The Chinese leader will spend the final day of his visit on Wednesday on the island of Crete, where the Greeks plan to invest around one billion euros on a new container terminal in Tymbaki, on the island’s southern Messara Bay. Political relations between Greece and China grew closer after Athens hosted the 2004 Olympics and transferred part of that know-how to the Chinese for last summer’s Beijing Games. Private business deals predate this rapprochement — Greece’s world-leading ship owners set up a foothold in China years ago, placing major orders with the Asian giant’s booming shipyards and providing the tankers that transport the bulk of China’s oil imports. Hu’s visit to Greece is the first by a Chinese head of state since his predecessor Jiang Zemin came in 2000.